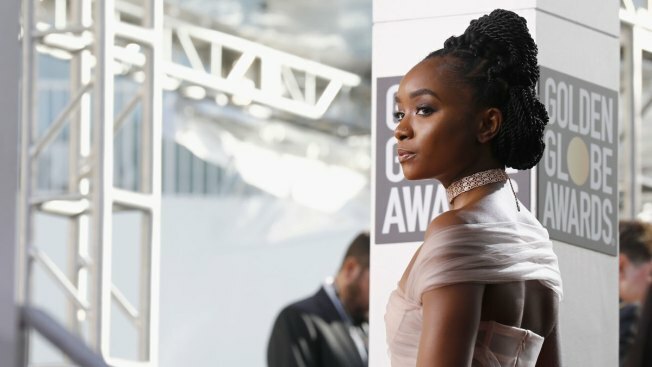 Kiki Layne arrives to the 76th Annual Golden Globe Awards held at the Beverly Hilton Hotel on January 6, 2019. Essence has named four actresses as its annual "Black Women in Hollywood" honorees. They are Regina Hall and Amandla Stenberg, who both starred in "The Hate U Give," Kiki Layne of "If Beale Street Could Talk" and Jenifer Lewis of "Black-ish." In a statement, Essence salutes "the marvelous work and stunning achievements" of the four. Chief creative and content officer MoAna Luu also notes that they represent "the dynamic intersection of art and activism that is influencing how we shape our own destiny." Hall was also in "Support the Girls," and became the first black best actress winner at the New York Film Critics Circle Awards for her role.